I had a super busy day, yesterday. I was scrubbing the deck, cleaning the bathrooms, organizing a closet and doing a little gardening. I don't know what got into me! I had nothing planned for dinner. 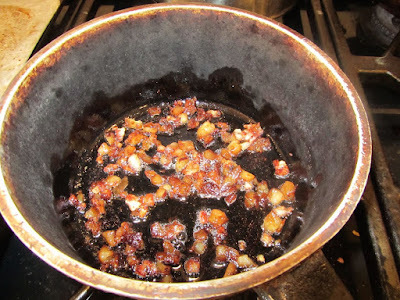 I had cooked some beans, but I didn't really want to do anything with them. I decided to save them for tonight. But that still left me with nothing planned for yesterday's dinner. I do my best menu-planning while I'm busy working away at something else. I start to think of what all is in the kitchen, what could go with what, and how to make it all tasty. I knew I had hot dogs in the fridge. But I didn't want to take the time to bake any buns or make biscuit dough. 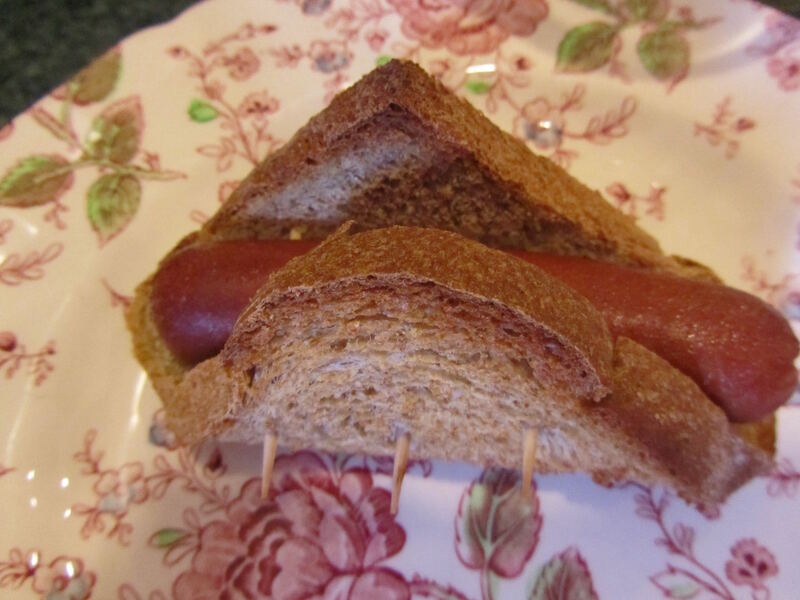 Enter this 1950s-1960s budget family favorite -- hot dog wraps, using bread slices. My mom made these when I was very young. It's how I thought hot dogs were always served, until our family's finances improved. Then we were livin' the high life -- we had buns! Anyways, I made these last night, like my mom's, but a bit healthier (I used homemade whole wheat bread, and much less butter). These wraps work best with soft bread, like commercial sandwich bread. However, I do it with homemade bread, either freshly baked, or 1 day old. If I use 1 day old bread, I microwave each slice (one at a time) for 13 seconds, then work quickly to wrap the slice around the dog and secure. Generously butter a small baking dish. (For 5 wrapped hot dogs, I use an 8 X 8 inch pyrex baker.) Preheat oven to 375 F.
Lay 1 hot dog on 1 slice of bread, on the diagonal. Wrap the hot dog in the bread slice. Secure with 3 toothpicks, through the bread and the hot dog. Place in the buttered baking dish. Bake for 15-17 minutes at 375 degrees F (less time if using commercial bread, 10-12 minutes total), until the outside dog-wraps are toasty, and the hot dog is hot. Remove the toothpicks before serving. The bread will hold its folded over shape, making a "bun". Top with regular hot dog toppings. Optional -- my mom used to add a slice of American cheese, and a smear of mustard, between the bread slice and the hot dog, before rolling up. There you have it -- a busy afternoon. Need a quick, cheap and easy dinner. Hot dogs, but no buns. I use my own whole wheat sandwich bread when I make these. But I think if you really want the full nostalgia factor, you've got to use fluffy, white sandwich bread, and butter each slice of bread before wrapping (just butter the outside of each slice), and the American cheese is practically mandatory! Hot dogs are good about once or twice a year but I normally don't buy buns for hot dogs. We just use whatever bread is available and I never toast them. We just wrap it side to side not corner to corner and add our toppings. I'm not that into hotdogs so they have to eat them the easyist way to make them. The dogs even get zapped in the microwave. Nothing fancy for hotdogs in our house! Growing up I never liked hotdogs and when mom made those I didn't eat them but I doubt she made something special for me but I can't remember what I ate. I actually like them now. I'm not a huge fan of hot dogs, myself. But I will eat them, especially if it means I don't have to cook much. I do prefer them grilled. I think that adds to the flavor. Microwaving is good, too. I don't care for boiled hot dogs, though. Sounds like you have it sorted out for the easiest way possible, for you! Yesterday for me also was jam packed. A tiny bit of left over roast beef , roasted potatoes and a quinoa mix, along with make your own chicken quesadillas were the options. Everyone ate well who was here and there are still some leftovers. Yeah for no food waste. I don't think my mother served hotdogs at all. But I served my kids because I enjoyed eating it. Usually I made a pig in blanket with biscuit dough (Pillsbury), stretching and shaping two biscuits per hotdog. As these were the cheapest premade dough to buy (four or five canisters per dollar), I found it a bargain to serve hot dogs this way. Also hotdogs went well with a pot of chili, served with rice, no buns (local style). Today, we hardly buy any hotdogs, and pretty much eat it as a fast food meal when we see it offered at an event or a quick cheap bite at Costco. The "fancy" family hotdogs I remember are the pigs-in-blankets with the pop-n-fresh dough (and a slice of Kraft singles), too! Lol...those pop-n-fresh canisters really did make a loud pop!! I remember taking a deep breath and bracing myself for that sound. I haven't bought that in ages...no longer a 20-25 cent bargain I'm sure. Lili, those wrapped, toasted bread hot dogs look so delicious, must try it one day too. those pop-in-fresh cans were such a bargain. I see them on sale for 3/$1 every once in a while. They make really amazing donuts. I often do these donuts for Father's Day. Even at 50 cents a can, they're super budget-friendly holiday breakfast fare. I had an aunt who made the crescent roll hot dogs, using canned crescent roll dough. I thought those were very good, as a kid. This may be hard to believe, but I've never ever had a Costco hot dog lunch, or anything to eat at a Costco. I've only been inside Costco a couple of times. I know, that sounds positively un-American! Too poor for the membership fee. (Cue the sad music) Probably just as well. I also remember my mom doing the hot dog sandwich. She'd boil the hot dogs (shudder), then cut in half lengthwise and put the halves side by side on slices of bread. I always thought that just wasn't a hot dog, and I was somehow being cheated out of the hot dog experience. LOL. I've never been in a Costco either! There is one close by but the parking lot nightmare begins as I drive by so I can't imagine going into the crowds. Nor will I pay a membership fee. I used to have a Sam's membership when the children were small but honestly I didn't think it was all that much of a saving. The membership I think has gone way up too from 20 years ago. If we had a restaurant supply store, Dollar Tree, or Fred Meyers where we live, I don't think we would join. I try to NOT shop there as often as possible, because there is always an unexpected bargain that is so hard to walk past. Definitely what breaks our budget every month. But Costco's gas is cheapest and in a very convenient location on our way into town, so the gas savings alone pays for the membership. Sam's has a better selection of oriental foods, like nori, shiitake mushrooms, sesame oil, and dried pinto beans that Costco doesn't even carry. So when a membership deal like the one offered this month pops up, we snag it, then lay dormant (by stocking up on our favorites) until the next new members deal is offered. So we are not the typical shopper either, and our wagon looks very sad compared to everybody else walking out, filled to the brim spending several hundreds on all kinds of fancy stuff. YHF, your wagon may look "sad", but your bank account looks fat and happy! Just remind yourself of that when you don't stock up on all of the goodies and 'seemingly' great deals. Really, you are being financially savvy. we've done the math, over and over, and it just doesn't make sense for us to have a Costco membership. We can find deals at the stores where I do shop, that match my cooking style. So I don't feel too badly at all. Maybe some things will change for us in the future, we'll have to see. I think there are too many shopping opportunity variables for anyone to feel that Costco is a must for everyone. But boy, do I feel out of it when all of my friends talk about something that's specific to Costco! Don't know why it took me so long to realize that buying something at a bargain, no matter how much is saved with discounts, is NOT saving money. Only when you don't buy anything at all is that saving money. I'm trying hard to break some very bad old habits of thinking I'm saving money buying on sale...maybe it saves a little but I am still spending. Only when I can conserve what I have, make do and substitute without buying, do without, reduce my consumption to bare bones...is that truly saving. And that is what your blog does, cultivate that kind of mindset. I cannot discuss this with anyone besides my husband...they will think I'm being ridiculous and crazy to be so frugal to this extreme. I think it is smart, creative, disciplined and industrious to be an extreme frugalist, and quite the opposite as a careless spender. Lately, even $1.59 for hot dog and drink is a splurge, and we usually forgo that quick bite to come home for our next meal. The samples at Costco are usually enough to tide us over, and I bring some snacks with water whenever we have to run errands. Sara, we call those Mexi-dogs. And yes, they are good! And great for gluten-free eating (if the hot dogs are GF). As unhealthy as this might sound, I like those pan-fried in oil. Kind of a hot dog taquito. clever! Thanks for posting this. 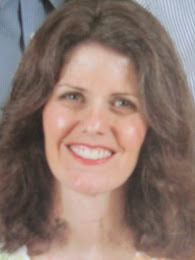 Some real changes on the horizon, I am looking for every trick to save $. Thanks, Carol. Just an old trick from memories of my mother's early cooking. I do the same thing too! On the rare occasion that i buy buns there are usually a few that get dried out so id rather use bread. When i had a houseful of children i would also split hot dogs down the middle but not all the way through. Then splay it flat on a griddle to heat up a bit. Then flip over and fill with leftover mashed potatoes and a sprinkle of cheese. Kids loved them. I also woild saute sliced potatoes, sliced hot dogs and then add a can of drained green beans. When it was served with ketchup or fry sauce that made a tasty meal! 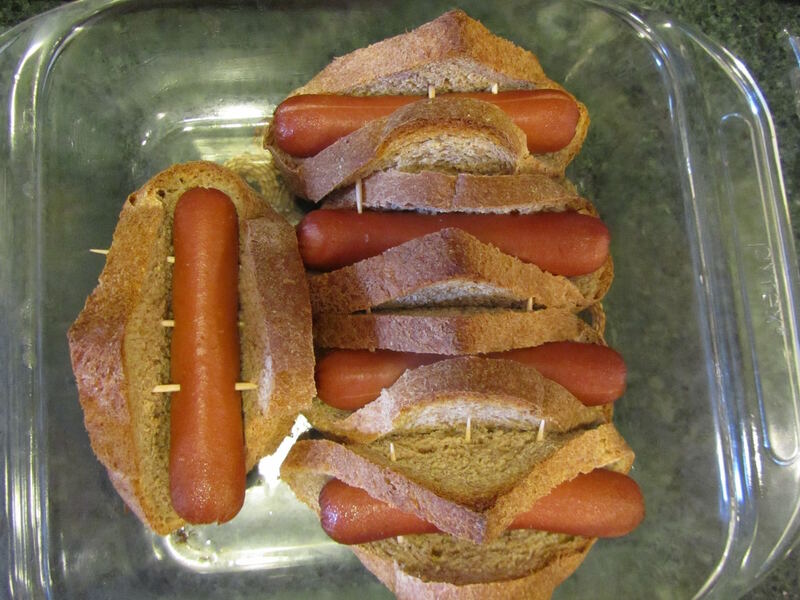 I love both of those ideas for serving hot dogs, in a quick and easy way. I'll keep those in mind. Thank you! and freeze them. I love to make them wrapped in crecent rolls from the Duggars website. Super cheep and super yummy. I am going to watch for the cans of biscuits on sale. love making those donuts. like a huge amount of air freshner and the things that I got also seem to have absorbed the air freshner yuck. Sometimes new and bigger is not better. Have a wonderful holiday weekend everyone. If I found a great deal, like you and your daughter found, Costco could be worth it for us, too. But I also think I'd be terribly tempted to buy other stuff. oooh, yuck about the smart and final store smell. I agree, sometimes new isn't better! Oh, I remember those when I was growing up too, Lili. My MOm would broil them in the oven. They were so good. Blogger has been doing some strange stuff lately, like double posting comments, and not allowing me to update pages. So it doesn't come as a huge surprise that this post wouldn't be here when you visited. That's so fun that you remember these from your childhood. Back then, there was a culture of thrifty cooking practices among most young families that seems to be lost today. People's first response to being out of something was "how can we make do? ", as opposed to now, "got to run out and buy something".